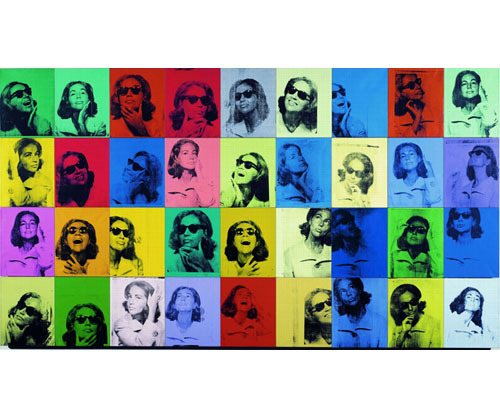 The Story of Shopping: Andy Warhol !! 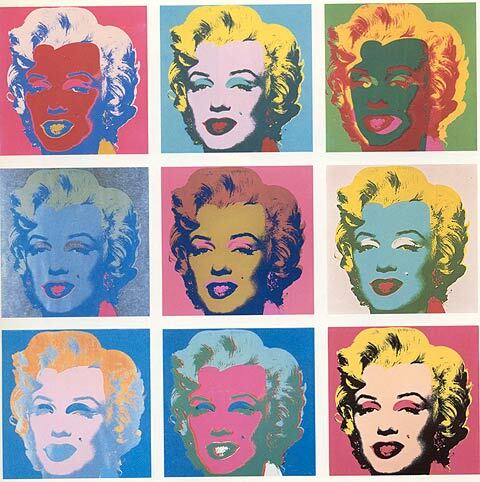 Andrew Warhola, Jr. (August 6, 1928 in Pittsburgh, Pennsylvania), known as Andy Warhol, was an American painter, printmaker, and filmmaker who was a leading figure in the visual art movement known as pop art. 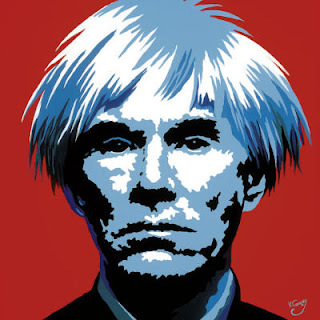 After a successful career as a commercial illustrator, Warhol became famous worldwide for his work as a painter, avant-garde filmmaker, record producer, author, and member of highly diverse social circles that included Bohemian street people, distinguished intellectuals, Hollywood celebrities and wealthy patrons. Andy showed an early talent in drawing and painting After high school he studied commercial art at the School of Fine Arts at Carnegie Institute of Technology in Pittsburgh, Pennsylvania (now Carnegie Mellon University). In 1949, he moved to New York City and began a career in magazine illustration and advertising. 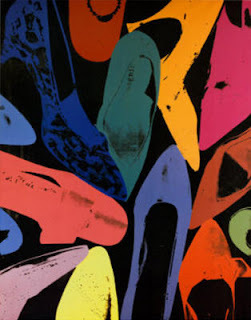 During the 1950s, he gained fame for his whimsical ink drawings of shoe advertisements. These were done in a loose, blotted-ink style, and figured in some of his earliest showings at the Bodley Gallery in New York. 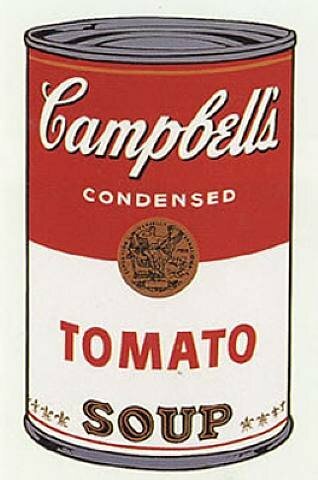 By the beginning of the 1960s, Warhol had become a very successful commercial illustrator. His detailed and elegant drawings for I. Miller shoes were particularly popular. They consisted mainly of "blotted ink" drawings (or monoprints), a technique which he applied in much of his early art. Although many artists of this period worked in commercial art, most did so discreetly. 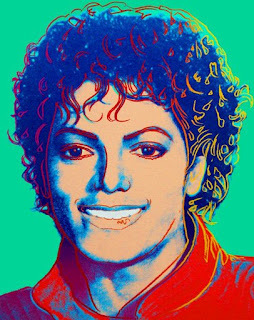 Warhol was so successful, however, that his profile as an illustrator seemed to undermine his efforts to be taken seriously as an artist. 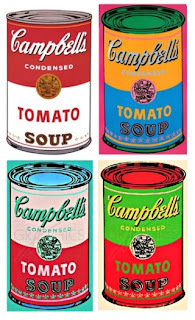 In 1960s Warhol began to make paintings of iconic American products such as Campbell's Soup Cans as well as paintings of celebrities such as Marilyn Monroe, Elvis Presley, Troy Donahue, Muhammad Ali and Elizabeth Taylor. He founded "The Factory," his studio during these years, and gathered around himself a wide range of artists, writers, musicians, and underground celebrities. 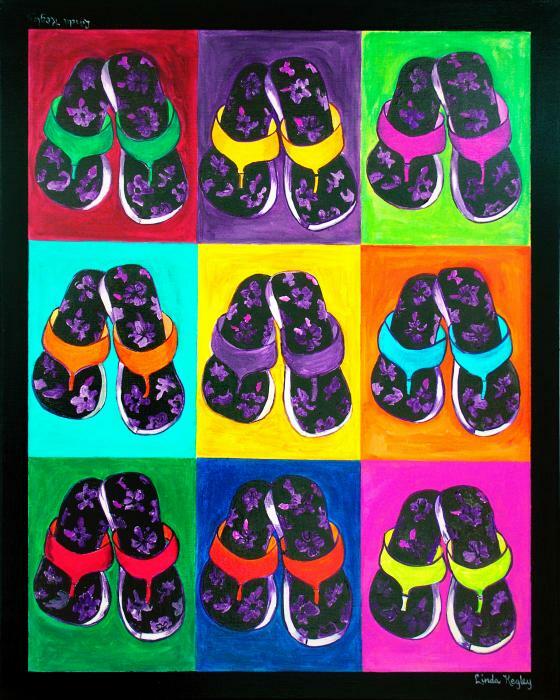 He began producing prints using the silkscreen method. His work became popular and controversial. Among the imagery tackled by Warhol were dollar bills, celebrities and brand name products. He also used as imagery for his paintings newspaper headlines or photographs of mushroom clouds, electric chairs, and police dogs attacking civil rights protesters. Warhol also used Coca Cola bottles as subject matter for paintings. He had this to say about Coca Cola:“What's great about this country is that America started the tradition where the richest consumers buy essentially the same things as the poorest. 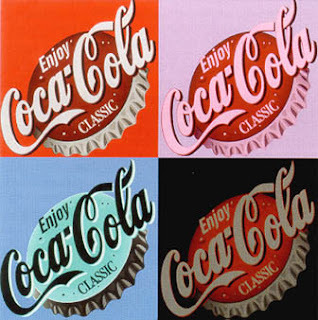 You can be watching TV and see Coca-Cola, and you know that the President drinks Coca-Cola, Liz Taylor drinks Coca-Cola, and just think, you can drink Coca-Cola, too. A Coke is a Coke and no amount of money can get you a better coke than the one the bum on the corner is drinking. All the cokes are the same and all the cokes are good. Liz Taylor knows it, the President knows it, the bum knows it, and you know it”. The pop artist not only depicted mass products but he also wanted to mass produce his own works of pop art. Consequently he founded The factory in 1962. It was an art studio where he employed in a rather chaotic way "art workers" to mass produce mainly prints and posters but also other items like shoes designed by the artist. The factory also served as a filmmaking studio. Warhol made over 300 experimental underground films - most rather bizarre and some rather pornographic. 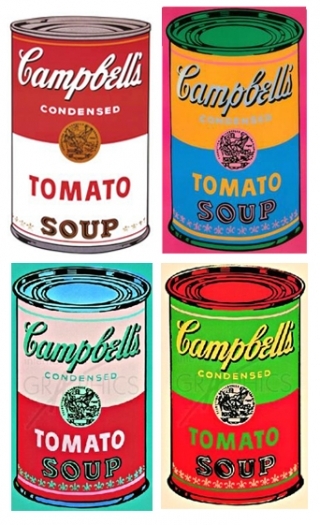 The quintessence of Andy Warhol art was to remove the difference between fine arts and the commercial arts used for magazine illustrations, comic books, record albums or advertising campaigns. Warhol once expressed his philosophy in one poignant sentence: "When you think about it, department stores are kind of like museums". 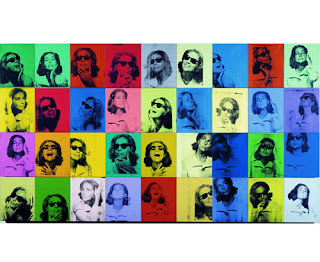 The highest price ever paid for a Warhol painting is $100 million for a 1963 canvas titled Eight Elvises. 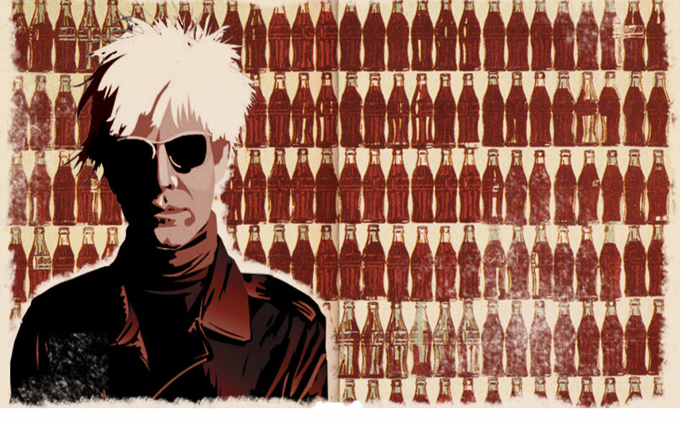 The private transaction was reported in a 2009 article in The Economist, which described Warhol as the "bellwether of the art market. 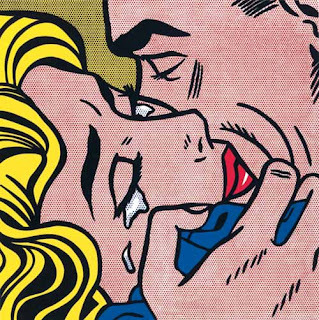 In July of 1968 the pop artist was shot two to three times into his chest by a woman named Valerie Solanis. Andy was seriously wounded and only narrowly escaped death. 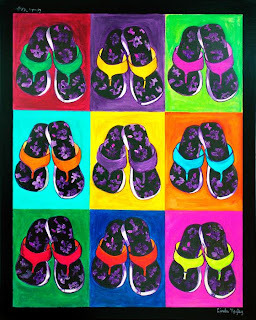 Valerie Solanis had worked occasionally for the artist in the Factory. Solanis had founded a group named SCUM (Society for Cutting Up Men) and she was its sole member. When Valerie Solanis was arrested the day after, her words were "He had too much control over my life". 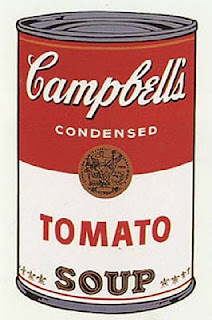 Warhol never recovered completely from his wounds and had to wear a bandage around his waist for the rest of his life. After this assassination attempt the pop artist made a radical turn in his process of producing art. The philosopher of art mass production now spent most of his time making individual portraits of the rich and affluent of his time like Mick Jagger, Michael Jackson or Brigitte Bardot. Warhol died in New York City at 6:32 a.m. on February 22, 1987 from complications after a gall bladder operation. More than 2000 people attended the memorial mass at St.Patrick's Cathedral. 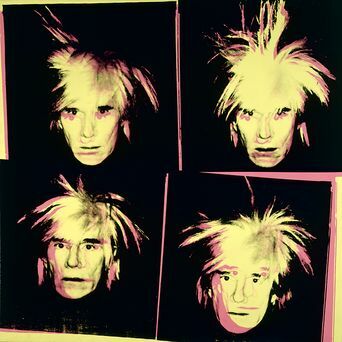 More than twenty years after his death, andy Warhol remain one of the most influential figures in contemporary art and culture. 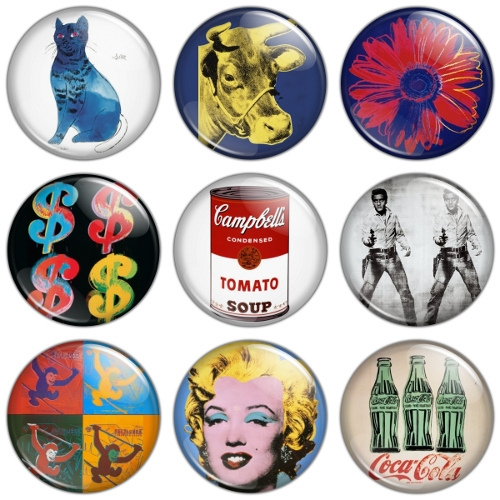 Warhol’s life and work inspires creative thinker’s worldwide thanks to his enduring imagery.